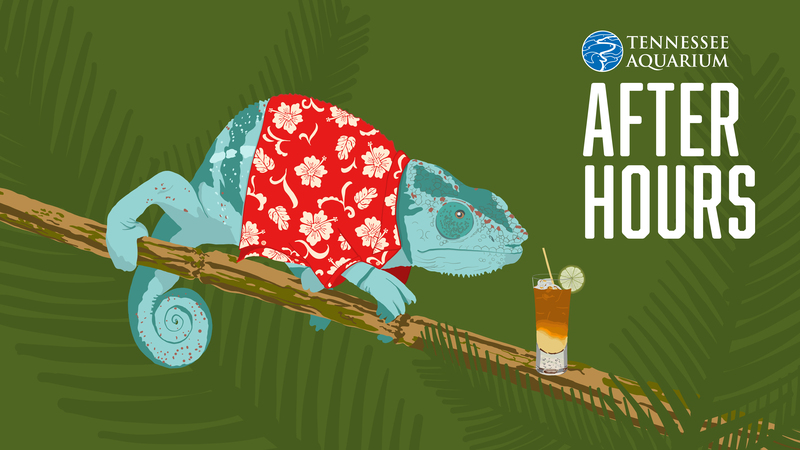 “Just sit right back and you’ll hear a tale...” On Thursday, April 25th, guests ages 21 and up will go Island-Hopping with Leon the Chameleon and be among the first to celebrate biological castaways of all sorts in the all-new Island Life exhibit. Enjoy cocktails and light appetizers as you go on a globe-trotting exploration of isolated ecosytems above and below the surface. You can also choose to participate in our Koozie Quest- where completion of activities will result in the reward of an official Aquarium AfterHours Koozie! Aquarium AfterHours are quarterly events that take place from 6:30-9:30 pm. Admission is $15 for Members and $20 for Non-Members. Beer, Wine and Signature Cocktails will be available for $5 each. Advanced registration is required- tickets will be on sale until April 22nd.